Swimia.com has the most up-to-date database about Heated Pools in Houston (Texas) (Texas). Thanks to some new Heated Pools in Houston (Texas) (Texas) submitted on a daily basis, Swimia.com is increasing daily the number of stored pools. Please don't hesitate to contact us if you find any inaccurate or incomplete information. Not all countries are the same, and swimming regulations and rules are changing from one country to an additional. Are you on holiday and desire to preserve fit and healthy? 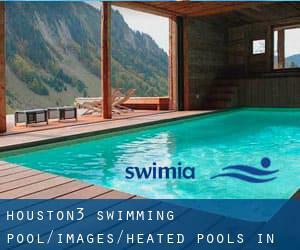 Swimia.com offers you the painless and quickest way to obtain pool near Houston. Regular users told us essentially the most critical thing of swimming is to control your breathing. To get this, our head should really be aligned with our spine all the time. Are you a regular swimmer? Do you visit precisely the same Heated Pools in Houston (Texas) (Texas)? Please check that all the particulars for your aquatic center are correct and contact us when you acquire any mistake. 9825 Katy Rd. , Houston , TX , USA (Postal Code: 77024). Among all the activities offered by the center, if you are interested in swimming you will take pleasure in 25 meters, Indoors. Just in case you wish to contact this Swimming Pool before dropping by, we only know the phone number. 5215 FM 1960 W. , Houston , TX , USA (Postal Code: 77069). This sports center delivers 22 meters, Indoors. For this Swimming Pool, only phone number is number here. Updated on 2019 1300 Lamar St. , Downtown , Houston , TX , USA (Postal Code: 77010). This sports center offers 20 meters, 2 meters depth, 2 meters depth, Outdoors. For this Swimming Pool, only phone number is number here. 19915 State Hwy. 249 , Houston , TX , USA (Postal Code: 77070). Among all the activities offered by the center, if you are enthusiastic about swimming you may enjoy 25 yards, 6 lanes, Indoors. Just in case you wish to contact this Swimming Pool before dropping by, we only know the phone number. Updated on 2019 8650 Endicott Lane , Houston , TX , USA (Postal Code: 77096). Among all the activities offered by the center, should you be enthusiastic about swimming you will enjoy 25 meters, 3 lanes, Indoors. Just in case you would like to contact this Pool before dropping by, we only know the phone number. 430 W. Greens Rd. , Houston , TX , USA (Postal Code: 77067). This sports center offers 25 meters, Indoors. For this Swimming Pool, only phone number is number here. 8307 Augustine , Houston , TX , USA (Postal Code: 77036). This great and large sports center lets professional swimmers like you enjoy 25 yards x 180 feet, 7 lanes, Outdoors. Additionally, within these facilities you can try 20 yards x 120 feet, 4 lanes, Indoors. Unfortunately we do not have the e-mail address of this Swimming Pool, but we can provide you with the phone number. Updated on 2019 1475 W. Gray St. , Houston , TX , USA (Postal Code: 77019). Among all the activities offered by the center, for anyone who is thinking about swimming you can enjoy 25 meters, 5 lanes, Indoors. Just in case you desire to contact this Swimming Pool before dropping by, we only know the phone number. 4400 Memorial Dr. , Houston , TX , USA (Postal Code: 77007). Among all the activities provided by the center, if you are keen on swimming you will enjoy 25 yards, Outdoors. Just in case you desire to contact this Swimming Pool just before dropping by, we only know the phone number. 16511 Diana Lane , Clear Lake , Houston , TX , USA (Postal Code: 77062). This sports center provides 25 yards, 6 lanes, Indoors. For this Swimming Pool, only phone number is number here. 1331 Augusta Dr. , Houston , TX , USA (Postal Code: 77057). Among all the activities supplied by the center, for anyone who is thinking about swimming you will appreciate 25 yards x 48 feet, 8 lanes, Outdoors. Just in case you need to contact this Pool prior to dropping by, we only know the phone number.